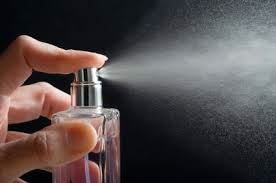 In a recent case, the EAT has agreed with the Employment Tribunal that it was not possible for an employer to make any reasonable adjustments in the case of a female employee who sometimes had a potentially life threatening reaction to aerosols and perfume. The employee worked in a control room answering 999 calls. The room was used by other employees and was also frequented by members of the public. Seven years after she started working for her employer she developed a severe reaction to aerosol body sprays which increased in severity each time. The employer took medical advice as to whether any reasonable adjustments could be made. Following receipt of the advice they considered that no reasonable adjustments could be made and they terminated the employee’s employment on the grounds of capability. Upon considering the claim for unfair dismissal and disability discrimination the Tribunal held that it was not reasonable or practicable to implement and enforce an aerosol and perfume free policy in that kind of workplace. As you should be aware, the duty to make reasonable adjustments arises when a provision, criterion or practice (PCP) puts someone with a disability at a disadvantage when compared to non disabled people. There is no strict rule as to what is reasonable, it all depends upon the particular circumstances and therefore you should always take advice if you have an employee who has or who you think could have a disability.